In 2009, China surpassed the U.S. to become Africa’s single largest trading partner. Yet the burgeoning relationship between China and Africa is no ordinary trading arrangement. Rather than colonizing the continent as Western powers did in the past century, China is trading infrastructure development and urbanization expertise for access to Africa’s vast natural resources. This re-balancing of trade has yet to be studied in depth as it is probably too early to tell what the impact of China’s involvement in Africa will have on the broader world’s economy. What we can observe is the immediate impact China is having on Africa’s urban development. Luckily we have Dutch researchers Michiel Hulshof and Daan Roggeveen of the emerging cities think-tank Go West Project to explain to us what is happening on the ground. I first met Hulshof (a journalist) and Roggeveen (an architect) at the 2011 Chengdu Biennale where they presented their research on China’s developing western metropolises (hence the name of their think-tank). Their research culminated in the book How the City Moved to Mr. Sun – China’s New Megacities (2011), which looks beyond the so-called 1st Tier cities of Beijing and Shanghai to tell the story of urbanization in the country’s heartland. Adam Mayer (AM): Please give us a summary about your research in Africa and what interested you about studying China’s impacts on the continent. Go West Project (GWP): In our book “How the City Moved to Mr Sun” we described the mechanisms behind the emergence of megacities in Central- and West-China. We are currently working on a new study into China’s involvement in African urbanization. Given the growing impact of China in the world, and the strong ties between China and Africa, one could think of the physical impact that China has in Africa. It seems the Chinese are already exporting parts of their urban model to Africa: new “Special Economic Zones” in Zambia, Nigeria and Ethiopia, Chinese residential models in Angola or Kenya and Chinese roads, airports and railways all over Africa. There’s also a new approach of “soft power” with Chinese-led African newspapers and television stations, Chinese language schools, university grants for African students and professionals, and Chinese medical aid projects in Africa. We think this phenomenon deserves an unprejudiced look as to what this means for the development and the future of African cities. 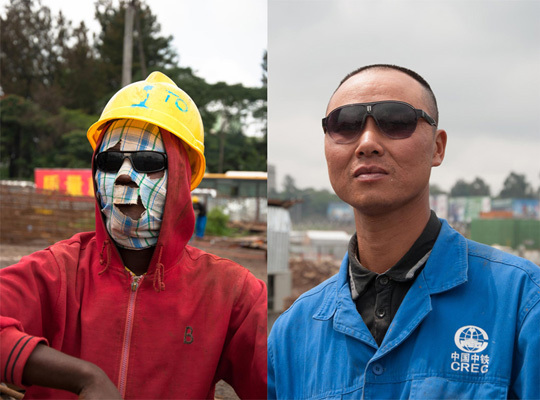 AM: What are those impacts that China’s economic development has had on Africa? Are there certain regions or countries in Africa that have benefited more from China’s business interest in the continent? GWP: These impacts are both tangible and non-tangible. On the tangible side, China constructs roads, railroads, ports, airports, but also telecommunications structures, fiber optic networks, dams and even satellites. It builds schools and offices and has even given the African Union their headquarters as a present. On the non-tangible side, there are grants for students, increased influence of the media – CCTV has already 80 journalists in their Nairobi office! – and Confucius institutes. Of course, the countries with resources are very attractive to go to for the Chinese – but not only them Royal Dutch Shell is already for decades involved in Nigeria. AM: China is trading its development and urbanization know-how to certain countries in Africa in exchange for resources- What are some prominent examples of infrastructure or building projects built by the Chinese in Africa? GWP: The most symbolic one is the structure of the African Union building: a 200 million dollar gift from China to Africa. The building was designed in China (by the Tongji Architecture Planning and Design Institute), built with Chinese materials, by a team of half Chinese and half local workers. In Nairobi, we came across the Great Wall apartments on Beijing road, a development by a Chinese real estate developer. 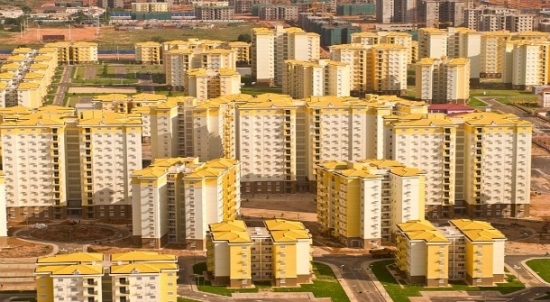 The most amazing example is of course the new towns of Kilamba Kiaxi in Angola, where CITIC developed and built 750 highrise apartment blocks. AM: One criticism of China’s venture into Africa is their use of imported Chinese labor to construct new cities rather than using local labor which would help job creation in the region. In your research did you find this to be an issue? GWP: This is only partly true, and differs strongly from country to country and from project to project. More and more, the Chinese are aware of the fact that hiring locals improves the engagement of a project. What you see very often is a construction site (or a factory for that matter) with Chinese site supervisors, and local laborers. A way to have local people profit more is not to hire Chines companies, but local companies for construction jobs. However, local companies can often not compete with Chinese ones in speed, price and quality. AM: Based on studying China’s influence in Africa, do you feel that China is setting a new standard for developing county’s around the world that aspire to urbanize and grow their economies? GWP: Africa’s urbanization is staggering. Africa’s urban population, which was 395 million in 2010, will be no less than 1.2 billion in 2050. That means Africa’s cities will have to accommodate an extra 40,000 people every day for the coming 15 years. If there’s one country in the world that has experience with such an enormous rural to urban transformation, it is China. However, implementation of Chinese strategies on African soil seems so far hardly possible due to differences in political and economical structures. Therefore, we think that the impact of Chinese presence in Africa will depend very much on the local conditions, and will strongly differ from country to country and city to city. Michiel Hulshof is partner at Tertium, an Amsterdam based office for strategic communication. Daan Roggeveen is the founder of MORE Architecture, Shanghai and Curator at the University of Hong Kong/Shanghai Study Centre. Be on the lookout for further research on this topic as Go West Project is currently preparing a theme issue of the magazine Urban China, with contributions by Brechtje Spreeuwers (NL), Huang Zhengli (CN), Njeri Cerere (KE) and Paulo Moreira (PT).